Crofting Commission appointments and unfinished business? The Cabinet Secretary for the Rural Economy and Connectivity, Fergus Ewing MSP, has announced the appointment of Malcolm Mathieson as a Commissioner of the Crofting Commission Board from 1 January 2017. He also announced the reappointment of David Campbell as a Commissioner of the Crofting Commission Board from 1 April 2017. Malcolm Mathieson is by profession an accountant who has held senior Finance and Managing Director positions within various global organisations. He is senior partner in Moy Farm, an 1800 acre hill farm in Lochaber and a Director of Lochaber Lodges which he set up in 2009 as part of the farming diversification of Moy Farm. Mr Mathieson has a specific interest in the financial viability of farming in less favoured areas. David Campbell’s reappointment introduces a degree of continuity between the current Crofting Commission Board and the new Board which will be in place following the Crofting Commission elections in March 2017. He has a wide experience of crofting matters with a solid grasp of crofting’s cultural, social and economic benefits, and how these are underpinned by effective regulation. Mr Campbell has a strong connection to crofting traditions with an equally able understanding of how crofting system of land tenure plays a significant role in population retention. Mr Mathieson’s appointment is for three years and runs from 1 January 2017 until 31 December 2019. Mr Campbell’s appointment is for three years and will run from 1 April 2017 until 31 March 2020. His appointment fulfils the requirement for there to be a Crofting Commissioner to represent the interest of landlords of crofts. Both appointments are part time and attract remuneration of £161.29 per day for a time commitment of around 4.5 days per month. The appointment and reappointment are regulated by the Commissioner for Ethical Standards in Public Life in Scotland. We look forward to working with Malcolm, his experience and knowledge of finance and governance will be of great value to the Commission over the coming years. Commissioner Campbell has provided an important contribution to the Board with his experience of crofting matters and understanding of the interests of landlords of crofts. His reappointment will provide crucial continuity to the Board ahead of the crofting elections in March 2017. One further Commissioner appointment will be made in due course. It appears odd that this appointment was not also announced at the same time as the appointment of Malcolm Mathieson given that the two vacancies were advertised at the same time and presumably the selection process carried out at the same time. Given all the problems that exist within the Crofting Commission it is an appointment that the Scottish Government can ill afford to delay any further. The Convener is appointed from among Commission members. Whilst the current convener was so appointed it is of course within the power of Scottish Ministers to make the appointment rather than delegate that function to commissioners. It will be interesting to see the approach taken on this by Fergus Ewing MSP following the next Crofting Commission elections. I am standing again for election as I believe the job I started in 2012 is not completed. I have been given overwhelming support from crofters across the crofting counties over the past four months, who recognise the commission requires people who are not afraid to take the decisions which the law provides for, rather than the decisions which certain individuals desire. It is my paramount desire to ensure fair and equal treatment of all crofters regardless of where they reside. I am aware the board have been informed by a commissioner on several occasions ‘you don’t understand, crofting is different in our area’, which may be the case – and should it be that the Scottish Government have made special arrangements for that area, then it is only fair that crofters in all counties are afforded equality. The board provides leadership, direction, support and guidance to make sure the commission does its job properly in line with the law. This is what I have tried to do and intend to continue to do should I be re-elected. Also of extreme importance to every crofter is an explanation as to why the executive requested certain papers be destroyed, and why those vast documents were not on the commission system when a freedom of information request was received. Who produced those papers which were then provided to both the commission committee and the full board with a list of options on how to dispose of such cases remains a mystery requiring answers. And why was the minute of the board dated September 15, 2015, in relation to those papers not implemented, together with numerous other minutes which were not implemented. I am not sure where this “overwhelming support” is coming from. It has not been evidenced as far as I can see. On the contrary we have had crofters and crofter representatives seeking his resignation or dismissal. With regard to “fair and equal treatment” Mr Kennedy has perhaps forgotten that the Commission’s removal from office of the Upper Coll Common Grazings Committee because they did not produce five years of audited accounts contradicted the position previously taken by the Commission. Their former convener, Susan Walker, had stated to another grazings committee that based on legal advice received by the Commission “reference to audit in the Grazings Regulations is not a specific statutory requirement”. This is one of many examples of the Crofting Commission contradicting itself and not taking a uniform approach to the application of the law. Also many would dispute that there has been “fair treatment” to crofters in Lewis and Lochaber over the past year. There is little doubt in many observers eyes that the Commission has certainly not done “its job properly in line with the law” in recent times. If that is what Mr Kennedy has really tried to do it is something he appears, unfortunately, to have failed in. 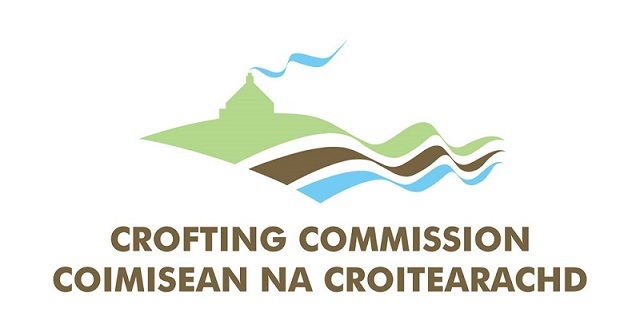 It is not surprising to hear about the destruction of documents within the Crofting Commission. Mr Kennedy’s own guidelines on disbursement of funds by grazings committees was of course deleted from the Crofting Commission website as though it had never existed. Perhaps the missing documents Mr Kennedy refers to are the ones that were found by commissioners in the secret brown envelopes? However, the cryptic nature of the references by Mr Kennedy to these papers leaves more questions than answers. Perhaps he should arrange a special meeting of the board to be held in public to air fully any such matters that are “of extreme importance to every crofter“? This entry was posted in Crofting Commission and tagged 2017 Crofting Elections, audit, audited accounts, Bill Barron, brown envelopes, Cabinet Secretary for the Rural Economy and Connectivity, Colin Kennedy, Convener of Crofting Commission, crofters, Crofting Commission, Crofting Commission Board, Crofting Commissioner, Crofting Commissioners, crofting elections, David Campbell, Fergus Ewing, Fergus Ewing MSP, Interim Chief Executive of the Crofting Commission, Isle of Lewis, Lewis, Lochaber, Lochaber Lodges, Malcolm Mathieson, Moy Farm, Scottish Government, Special Meeting, Susan Walker, The Scottish Farmer, Upper Coll Common Grazings Committee on January 19, 2017 by Brian Inkster.